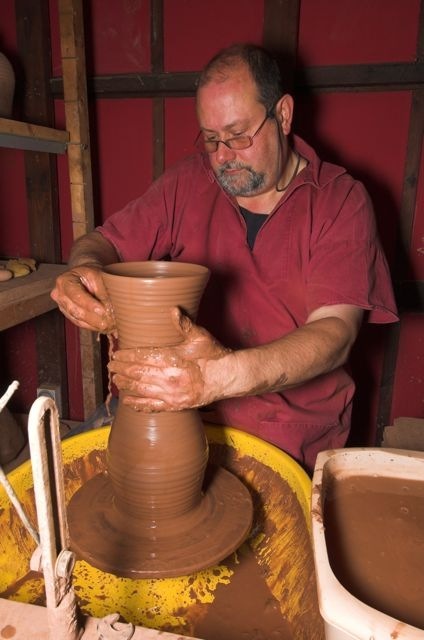 Making pots on the potters wheel is one of the most fantastic things you can do with your day. 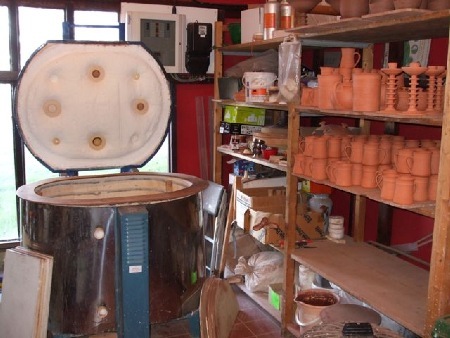 The next best thing is opening a glaze kiln, you never know you might find your perfect pot. I started potting in 1973 and my first two customers were Harrods and Heals and for the next 16 years I designed and made pottery for department stores including Habitat. After I sold the factory and design studio in the early 1990s and for the next 10 years I used what I had learnt to help others take design through to production and marketing. 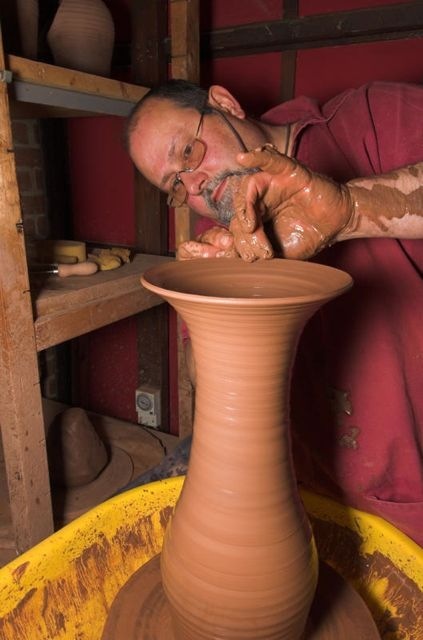 Finally I came to Suffolk in 1998 where I now make finely thrown English Earthenware using a range of Reactive Glazes. Items include pieces for the table, kitchen and sometimes purely for display. 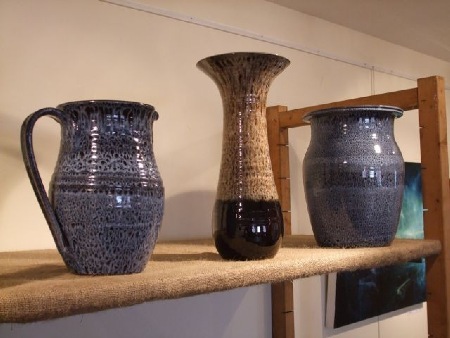 There are always plenty of pots to see at the Studio in Suffolk, if you see anything of interest on the website please contact me. This is the man and the mud. The mud through bloody mindedness and the grace of God, made pot. Glazing still to come, the controlled and disciplined approach to creativity, required when glazing is always worthwhile when the pot comes out of the kiln and because of this I have always given my glazes a lot of thought. If you are going to make a vase give it attitude and presence, and in this case size. 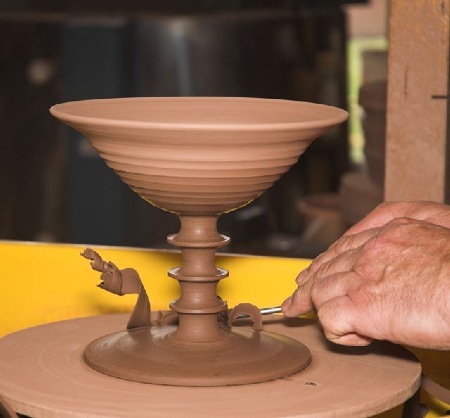 Watch the top rim and how it sits with the rest of the pot ……has it been drawn over far enough; does it balance with the base and is the throat of the vase fit for purpose? In fact …… do you know what the likely purpose will be!!!!! My mum-in-law, a flower arranger par excellence , taught me through experience to always be prepared to be surprised. Not too soft and not too hard. Keep the speed up and trust your eye. All too easy to turn the life out of the pot and produce something cold and dead. This shape inspired by the Church Chalice, its original structure and functional integrity stretched and extended to become my pedestal pot. This three phase beast is, when compared to my earlier kilns, an economical bit of kit. Ceramic fibre, the same material used to protect the space shuttles of old, and low thermal mass bricks have turned kilns into energy friendly animals. My factory gas kilns had personality but even with these electric kilns you can still be defeated or delighted by what goes on in the magic of the firing. 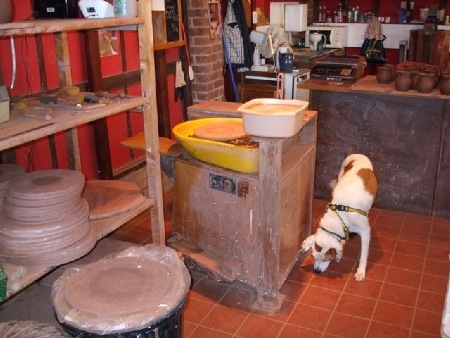 I still find the surprise and delight of opening and emptying a kiln one of the greatest joys a potter can experience. You never know I might, one day, find I have made my 'perfect' pot. 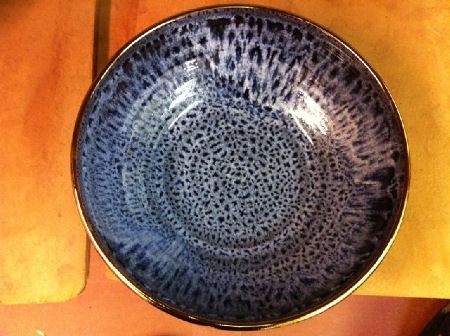 Glazes ……… the magic that can turn function into a thing of beauty. Big Pots …… I love big pots.